Why Pinch Pots? When working with clay to create forms, an artist must first learn to control the material and . Creating pinch pots allow an artist to use minimum tools while still manipulating the clay, gaining control over the direction and form of the clay. Goals of the Assignment: Students will create a series of pinch pots demonstrating various hand building techniques. Students will explore various forming and decoration techniques as well. Students will use form and space to create the overall shape of the pinched pots and they will use line, shape, color and texture to enhance and enrich their forms. Goals of the Assignment: Students will create a rattle inspired by the symbolism of animals and the uses for rattles in various cultures. The project will demonstrate control of pinching and techniques of attaching clay to clay. 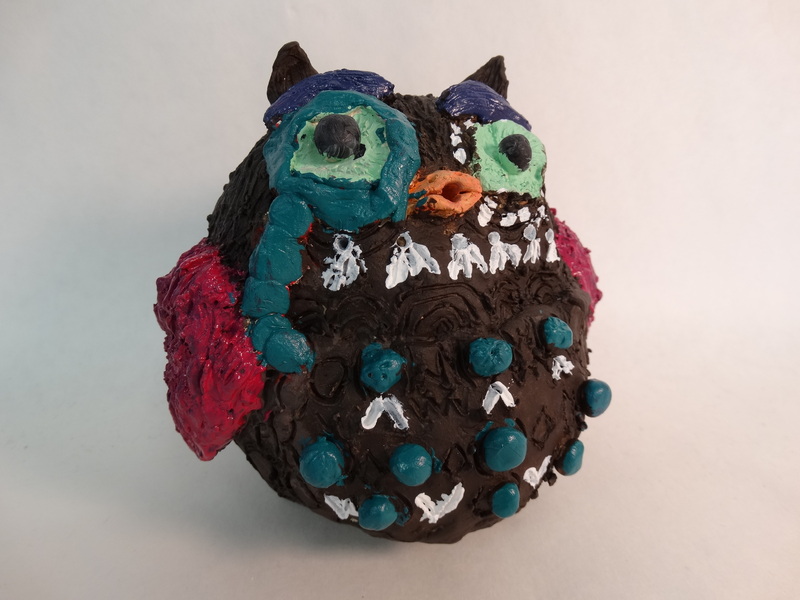 Students will use form and shape to create the overall design of the rattle and they will use line, shape, color and texture to enhance and enrich their form.